Many adults with asthma were first diagnosed as a child, and have either managed their asthma all their life, or the asthma seemed to disappear for a number of years and came back later. There is however a significant group of people who develop asthma for the first time in their lives as adults. This is called adult-onset asthma. It is important that the diagnosis of asthma as an adult is done carefully to make sure other illnesses such as heart disease are not the cause of symptoms. Your doctor will ask about your family and medical history, and check your lungs with tests like a spirometry test. People who are exposed to environmental irritants, such as tobacco smoke, mold, dust, feather beds, or perfume. Irritants that bring on asthma symptoms are called "asthma triggers." Asthma brought on by workplace triggers is called "occupational asthma." What causes adult onset asthma? The real cause of asthma (childhood or adult onset) remains uncertain. We do not understand why symptoms develop at a certain age; or why they might disappear. The important thing to remember about asthma of any sort is that the lining inside the air passages of the lungs is persistently inflamed (swollen, red and sore) and sensitive - even if there are no symptoms at the time. The treatment of asthma concentrates on trying to suppress this inflammation. Tobacco smoke: Both active and passive smoking is more likely to cause your lung function to deteriorate very quickly and permanently. Tobacco smoke makes asthma medication less effective, makes your asthma harder to control and increases your risk of a severe asthma attack. Dusts: Can irritate the nose, throat and lungs. With asthma it is best to avoid dusty occupations such as baking, woodwork, metal foundry work, mining etc. Allergens: Some indoor allergens, such as pets, feather bedding, mould on walls or dust, aggravate allergies. Other allergens such as household dust mite are more difficult to avoid. Many indoor allergens are avoidable, and every effort should be made to keep the home or workplace as free of asthma trigger factors as possible. Fumes and strong odours: Can aggravate asthma. Domestic items such as spray cans can be minimised by using alternative products. Industrial processes may be a potent cause or trigger of asthma. Spray paint fumes from panel beating works, for instance, are a recognised asthma trigger. Fumes from heating units including kerosene heaters and unflued gas heaters can trigger asthma in some people. Infections: Viruses including the flu, pneumonia and the common cold are the most frequent triggers for people with asthma. Viruses cannot be easily prevented but the risk can be decreased through vaccination. Vaccination is advised for many people with chronic respiratory conditions to reduce the risk of influenza-pneumonia, which may be quite severe with pre-existing asthma. It is important to note that vaccination will not protect against all respiratory infections so good asthma management and a written Asthma Action Plan is essential. Medications: Beta-blockers are used for treating high blood pressure, angina or glaucoma. They should be avoided by people with asthma as they can aggravate the condition. Aspirin and pain relievers called ‘non-steroidal anti-inflammatory drugs’ (NSAIDs) can aggravate asthma in some people. You should always check with your doctor and pharmacist that your asthma medications will not interact with any other prescribed or non-prescribed medications. If you have been taking any of the above medications it is important not to stop taking them abruptly without discussing this with your doctor first. Foods: Occasionally adults are sensitive to foods such as nuts or seafoods. Some people are sensitive to food additives, commonly sulphites (220, 228) used as preservatives in foods and drinks and MSG. 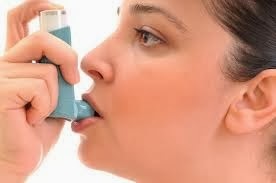 Milk or dairy products rarely trigger asthma. Can asthma in adults be due to a recurrence of childhood illness? Yes. In some cases childhood asthma persists throughout adult life. In other cases childhood asthma may disappear for many years, but return in adult years. Sometimes childhood symptoms may not have been diagnosed as asthma; they may have been called recurrent bronchitis or wheezy bronchitis. Is adult onset asthma due to smoking? Smoking is a significant trigger for asthma. Tobacco smoking causes either chronic bronchitis or emphysema. These conditions also cause breathlessness, cough and sometimes wheeze. Because of the similarity in symptoms doctors cannot always be precise about whether someone who has smoked simply has a smoking related illness or adult onset asthma. For most people with asthma, triggers are only a problem when their asthma is not well-controlled To manage asthma symptoms and reduce the risk of a severe attack, you have to treat the underlying airway inflammation with medication. This is the best way to reduce asthma symptoms and the risk of needing to go to hospital or dying from asthma. Both active and passive smoking can cause chronic bronchitis and emphysema which are lung diseases that belong to a group of illnesses known as Chronic Obstructive Pulmonary Disease (COPD) Although there is no cure for COPD, research has shown that if you quit smoking, you may stop your symptoms from getting worse. Everyone gets colds or the flu from time to time, and these can easily make your asthma worse. It is important to recognise when your asthma is getting worse, and know what to do about it. Having a written Asthma Action Plan can help you monitor your asthma. As you get older you might need to take regular medications for different conditions. Some medications can interact with asthma medications, or can make asthma worse. You should always talk to your doctor or pharmacist before starting any new medication, whether it is prescription, over the counter or herbal medicine to ensure it won’t have any negative effects on your asthma. An important part of treatment is keeping track of how well the lungs are functioning. Asthma symptoms are monitored using a peak flow meter. The meter can alert you to changes in the airways that may be a sign of worsening asthma. By taking daily peak flow readings, you can learn when to adjust medications to keep asthma under good control. Your doctor can also use this information to adjust your treatment plan. Not all asthma sufferers experience severe symptoms. The AAFA lists normal symptoms caused by the airway obstruction of asthma as shortness of breath (including during exercise), coughing, an abundance of mucus, wheezing, chest tightness, and chest colds that extend more than a week. Those with non-severe asthma typically experience symptom-free periods in between asthma attacks. According to the Mayo Clinic, "severe persistent" asthma sufferers are defined as those who experience symptoms continuously on most days and also frequently during the night. Severe asthma attacks present with shortness of breath unrelated to heavy exertion, rapid and noticeable worsening of breathing difficulty, and an inability of bronchodilators such as inhalers to improve the situation. Persons with these severe symptoms will need emergency medical treatment immediately, as continual worsening of breathing problems may bring on unconsciousness and put the individual into a life-threatening situation. How is Adult-Onset Asthma Diagnosed? Performing a lung function test, using a device called a spirometer, to measure how much air you can exhale after first taking a deep breath' the device also measures how fast you can empty your lungs. You may be asked at some time before or after the test to inhale a short-acting bronchodilator (medicine that opens the airways by relaxing tight muscles and that also help clear mucus from the lungs). Performing a methacholine challenge test; this asthma test may be performed if your symptoms and spirometry test do not clearly show asthma. When inhaled, methacholine causes the airways to spasm and narrow if asthma is present. During this test, you inhale increasing amounts of methacholine aerosol mist before and after spirometry. The methacholine test is considered positive, meaning asthma is present, if the lung function drops by at least 20%. A bronchodilator is always given at the end of the test to reverse the effects of the methacholine. Performing a chest X-ray. An X-ray is an image of the body that is created by using low doses of radiation reflected on special film or a fluorescent screen. X-rays can be used to diagnose a wide range of conditions, from bronchitis to a broken bone. Your doctor might perform an X-ray exam on you in order to see the structures inside your chest, including the heart, lungs, and bones. By viewing your lungs, your doctor can see if you have a condition other than asthma that may account for your symptoms. Although there may be signs on an X-ray that suggest asthma, a person with asthma will often have a normal chest X-ray. Asthma can be controlled, but there's no asthma cure. There are certain goals in asthma treatment. If you are unable to achieve all of these goals, it means asthma is not in good control. You should contact your asthma care provider for help with asthma. Live an active, normal life. Prevent chronic and troublesome symptoms. Attend work or school every day. Perform daily activities without difficulty. Stop urgent visits to the doctor, emergency room, or hospital. Use and adjust medications to control asthma with little or no side effects. This is the most important type of medication for most people with asthma. Anti-inflammatory medications, such as inhaled steroids, reduce swelling and mucus production in the airways. As a result, airways are less sensitive and less likely to react to triggers. These medications need to be taken daily, and may need to be taken for several weeks before they begin to control asthma. Anti-inflammatories lead to a reduction in symptoms, better airflow, less sensitive airways, less airway damage, and fewer asthma episodes. If taken every day, they are helpful in controlling or preventing asthma. These medications relax the muscle bands that tighten around the airways. This action rapidly opens the airways, letting more air in and out of the lungs and improving breathing. Bronchodilators also help clear mucus from the lungs. As the airways open, the mucus moves more freely and can be coughed out more easily. 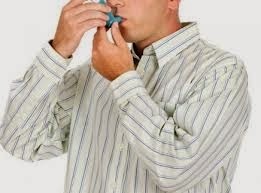 In short-acting forms, bronchodilators relieve or stop asthma symptoms and are very helpful during an asthma episode. In long-acting forms, bronchodilators provide control of asthma symptoms and prevent asthma episodes. Asthma medications can be taken by inhaling the medications (using a metered dose inhaler, dry powder inhaler, or asthma nebulizer) or by swallowing oral medications (pills or liquids). If you are also taking drugs for other conditions, you should work with your providers to check drug interactions and simplify medications when possible. Will Adult Onset Asthma ever go away? In contrast to childhood asthma, adult onset asthma is more commonly persistent and permanent. Medications are often needed continuously to help keep adult onset asthma under control. 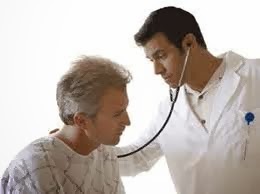 One of the difficulties in adult life is that lung function tends to fall after middle age. Certain conditions such as smoking-related diseases or asthma may be associated with a faster rate of deterioration of lung function. If asthma is under-treated in adult life, there is a risk that lung function may deteriorate more quickly and never recover. In some cases it is best to use regular medication in order to protect lung function all the time, rather than risk permanent deterioration.